Perfect for larger tabletop miniatures in 28 mm systems. 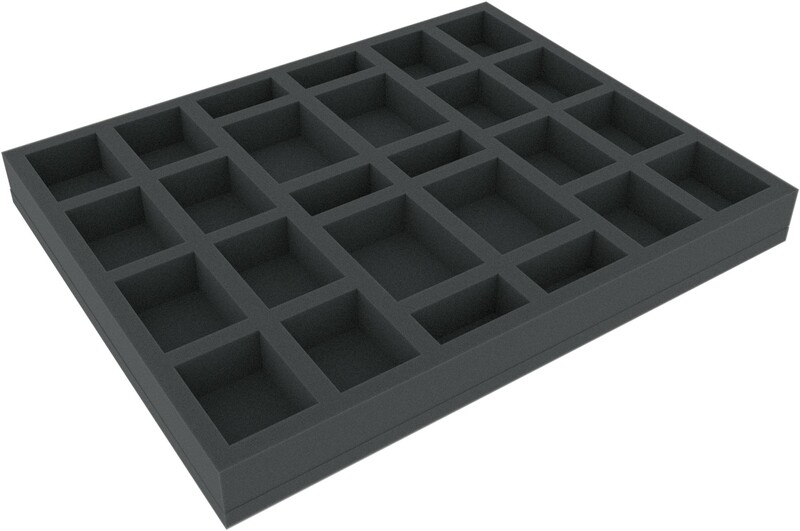 This foam tray has 26 slots - each slot 25 mm deep. Ready to use - glued 10 mm foam base. 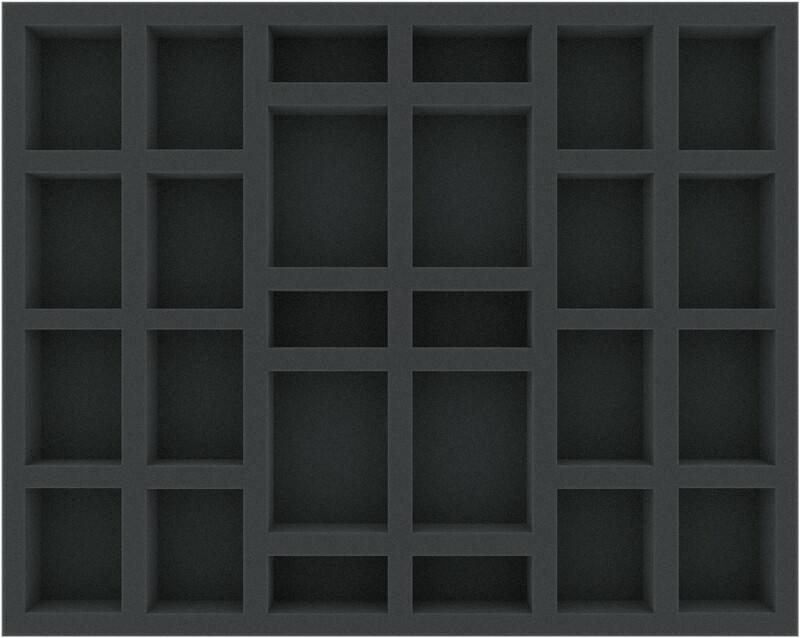 Dimension Feldherr Full Size (FS) foam tray: 345 mm x 275 mm x 35 mm.